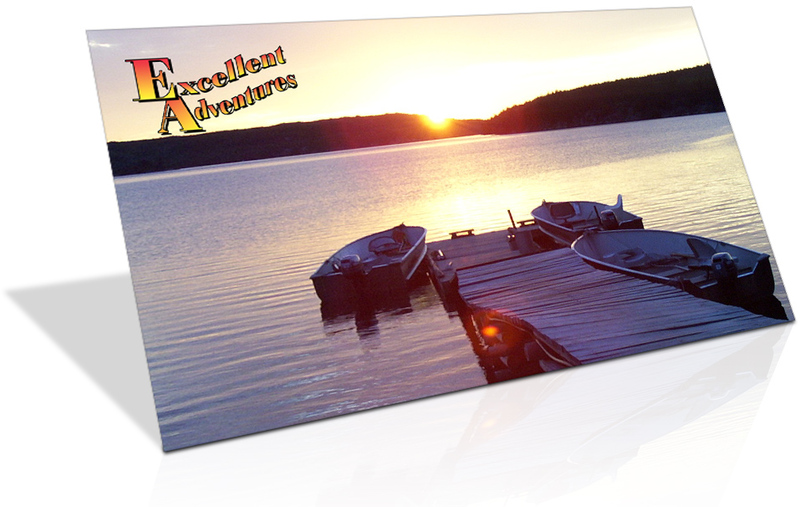 Excellent Adventures Cat Island Lodge & Outpost Camps is located straight north of Minnesota. 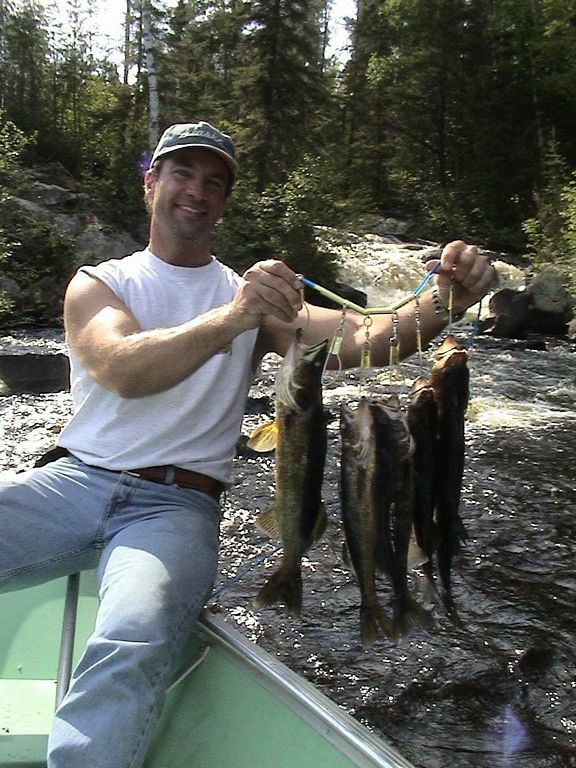 The easiest way of getting here by car is via International Falls and driving to start your Canadian fly in fishing trip from our float plane base in Ear Falls, Ontario, about 200 hundred miles north from the Canadian border. 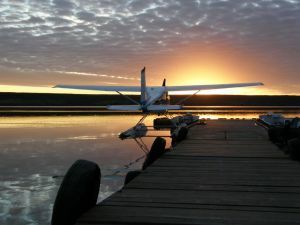 You can also fly into Red Lake on commercial airlines and we will pick you up right at the Red Lake Airport and shuttle you to our lodge or outpost camp of your choice. As we fly you to your remote lodge, you’ll see absolutely a huge wilderness area, and forty to fifty percent of it is covered in water. 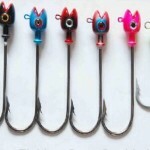 Because of this, it offers some – if not the best – freshwater fishing experience for those who want to fish all day in a peaceful, quiet and clean environment. 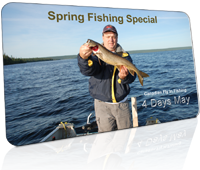 There are opportunities for many kinds of fishing experiences, trophy walleye, trophy pike, lake trout, bass and perch to mention just a few. 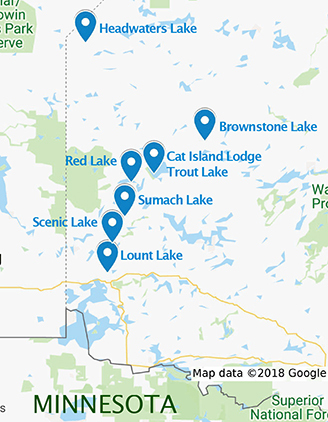 Generally the species will vary from lake to lake, but with us you can find a place where you can fish any of them without having to take your boat from one lake to another. 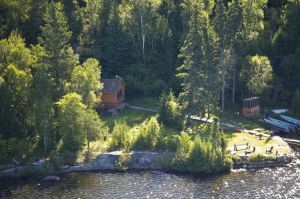 Just like the variety of fish, we also offer a variety of fly-in outpost cabins on remote seclude lakes or at our all-inclusive fly-in remote Lodge, where we take pride in giving you the ultimate Canadian experience. Get away from the busy pace of a roadside RV park or camp. Fly in to really a premium type of fishing vacation at an affordable price for everyone. 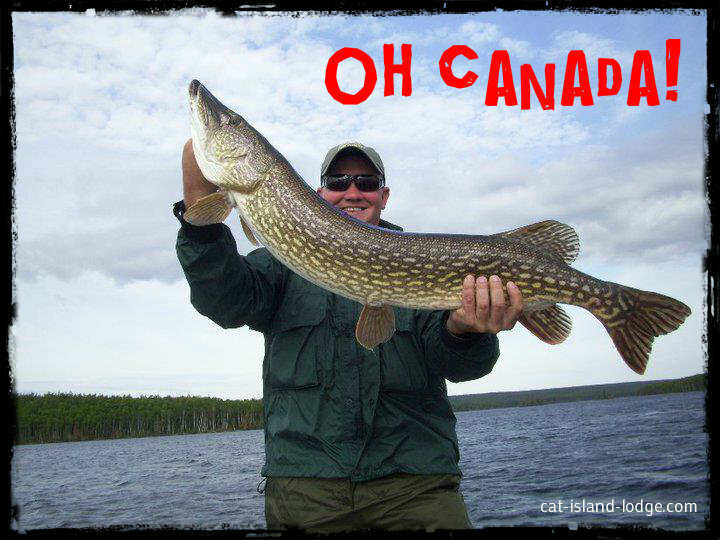 So depending on your time, budget and the kind of fish you want to catch, we can totally customize your next fishing vacation to Canada. For decades, we have specialized in providing the best in fly-in fishing adventures. We offer 2 different types of vacation trips for you. If your are wondering about the type of vacation options that Excellent Adventures offer then here are a couple. Choose either our American plan fly-in lodge or one of our remote fly-in outposts on your own lake. Yes you can have the whole lake for yourself! 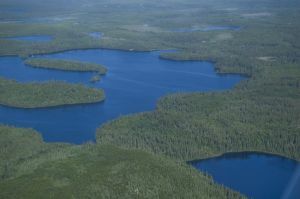 Imagine you fly into the remote lake, we drop you off in the Canadian wilderness at a picture perfect spot, check to see if everything is working at the cabin – and then we say goodbye to you and fly away. The lake is then yours for your entire stay. This is truly a great adventure! We provide the flight in and out, fully-equipped modern outpost cabin and all the required essentials, you just bring your personal gear, a sleeping bag, food and fishing equipment. We even supply some of the staple foods to help you prepare for your stay. No boat needed on this trip because we provide your fully equipped boats and motors for everyone right at the camp and all the gas needed. We’ve thought of it all with our lists of whats included and what to bring to help you pack accordingly. 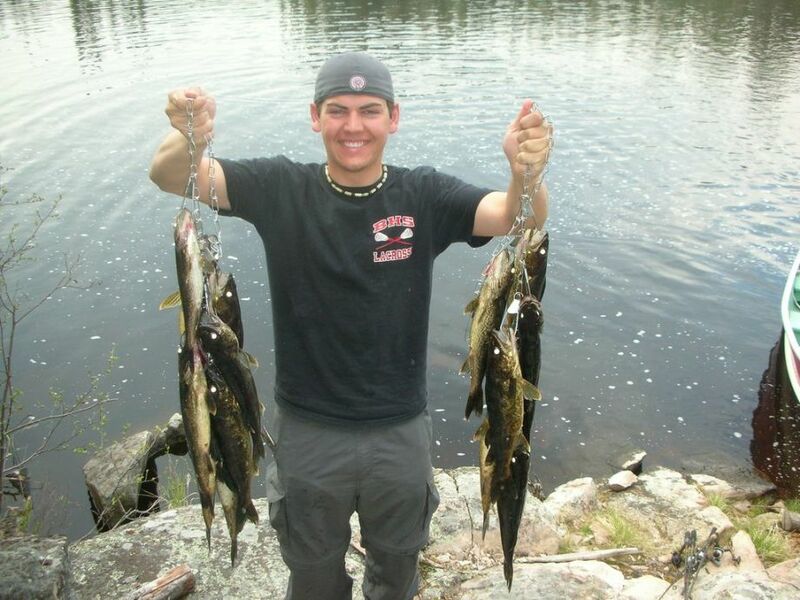 If you are confident in looking after yourself, this is one of the best Canadian fishing vacations you can enjoy – and for some people this is really the Canadian Fishing Trip they are truly looking for. 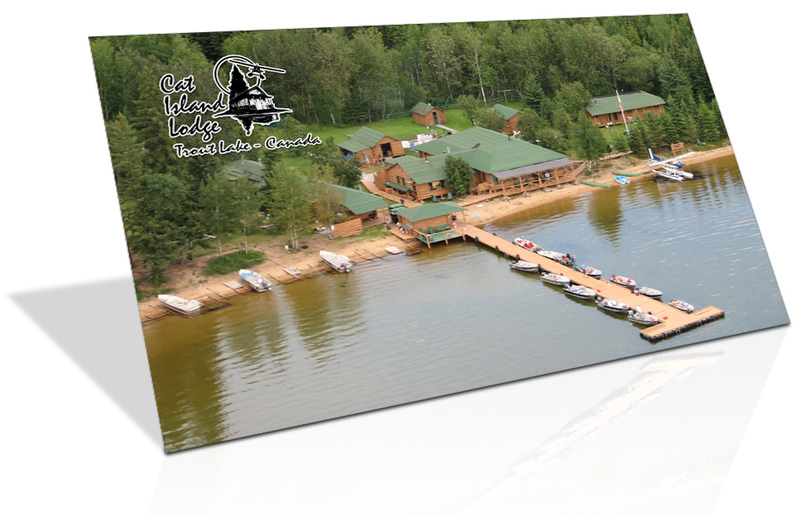 Another type of trip you can go on with us is at our Cat Island Lodge with exclusive fly-in access to Trout Lake. Couples, big families and corporate team building groups will be looked after like V.I.P.s with delicious meals cooked, beds made. We take care of you during your stay. And you have the option to hire a professional fishing guide as well. He’ll cook you great shore-lunches and cater to your needs. 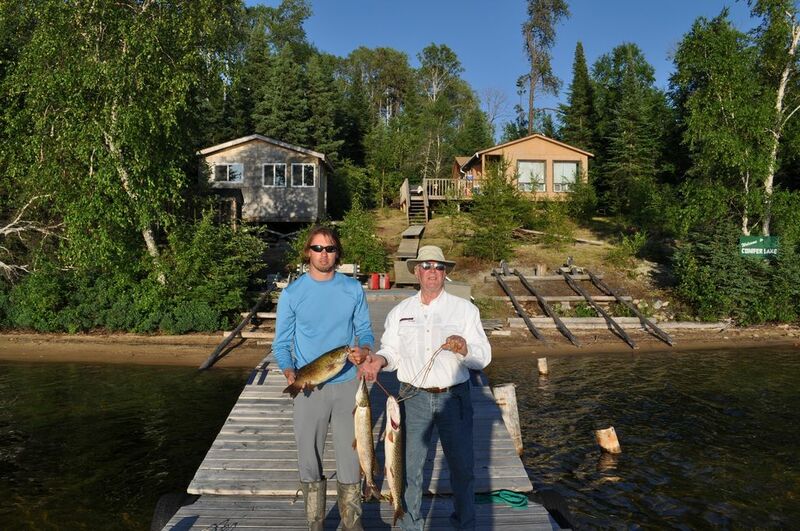 Our guides are on the lake all summer – he’ll take you right to the hot spots, optimizing your fishing experience. 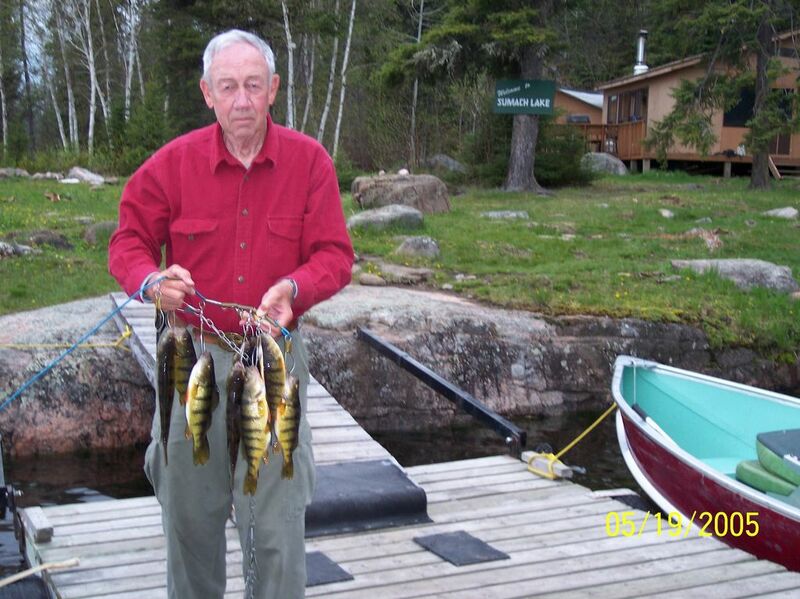 In the evening after a hard day of fun fishing, relax in our Rustic designed modern lodge and let us clean and package the fish you caught during the day, while you enjoy appetizers and drinks waiting for a great dinner served overlooking the beauty of Trout Lake . Once you come to this place for the first time you are hooked and you will always want to come back to it. And why wouldn’t you? This is arguably the best place where you can fish on the planet and there is no greater feeling than the one you have when you are surrounded by wilderness and water. 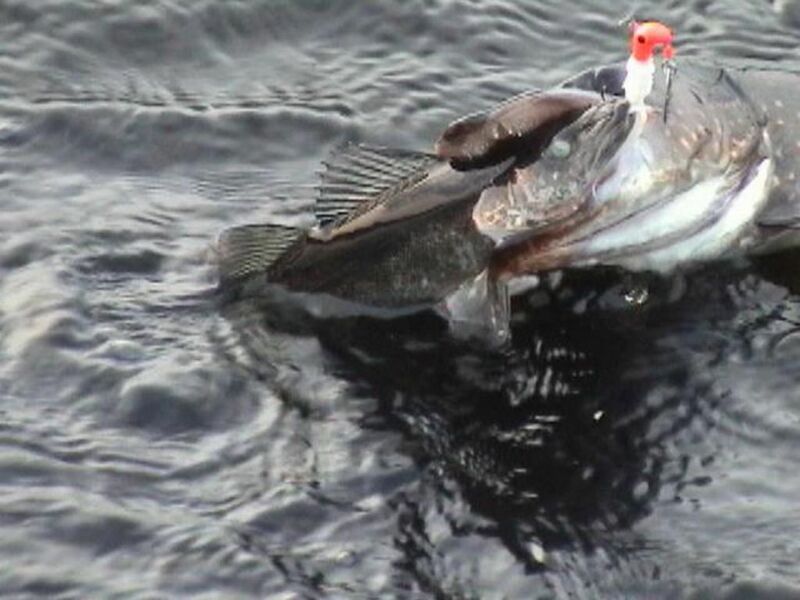 Canadian Northern Pike Attacks Walleye! 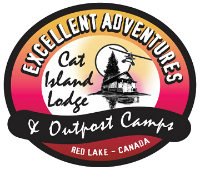 Excellent Adventures Cat Island Lodge & Outpost Camps have something for everyone here, literally and regardless of the type of fisherman you are and what kind of places you enjoy fishing at. Here you will be welcomed by a world class fishing area that will leave you speechless with its natural beauty and cleanliness. The only thing that you need to remember when going fishing up here to this amazing place is to bring a camera and a good friend. With that being said, if you want to have a fishing or hunting adventure you will never forget, coming to Excellent Adventures Cat Island Lodge & Outpost Camps in Canada’s Heartland is certainly an Canadian Fly in Fishing Trip you will remember for the rest of your life! When is the best time to go Fishing and catch fish? Is it a must to bring a friend? What do I need to bring with me except Money. .I live in Radcliff/ Ft Knox Kentucky what is the best way to get to your area? and I used to pay а visit thіs website all the time.